The Trio Frontier is an unusual combination of three KZN musicians who have performed together in Durban, and have done so with distinction. 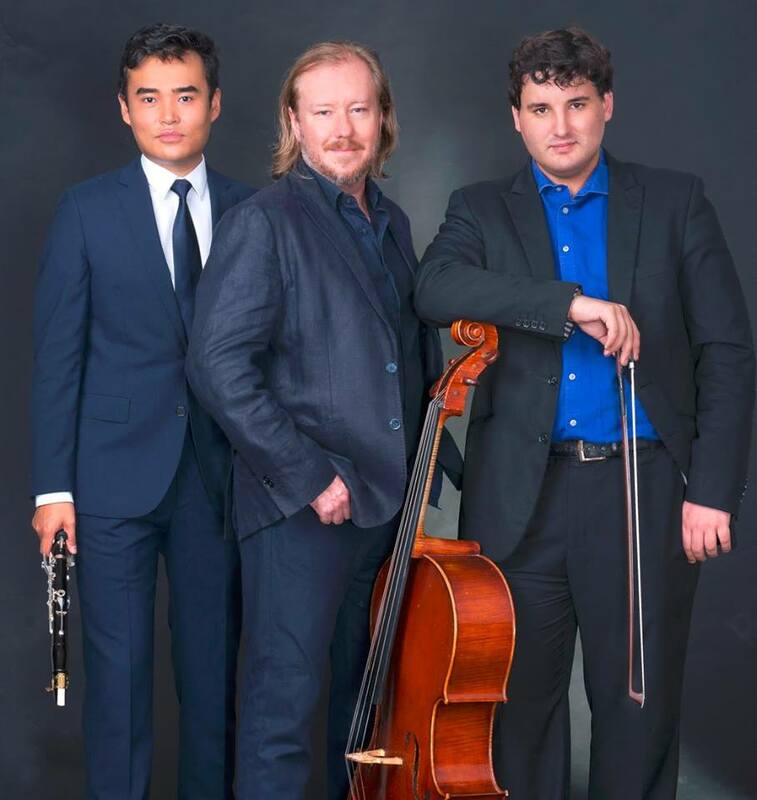 They are Christopher Duigan, piano; Junnan Sun, clarinet; and Aristide du Plessis, cello. The latter two are members of the KZN Philharmonic Orchestra. Christopher Duigan is based in Pietermaritzburg and is one of South Africa’s best-known pianists. For their latest concert for the Friends of Music at the Durban Jewish Centre they chose a programme featuring their instruments individually rather than collectively. Predictably, Christopher Duigan was the busiest; he had to play as an accompanist as well as a soloist. The programme consisted of eight fairly short pieces covering a wide range of style and sentiment. And they were all of strong audience appeal, in spite of the fact that they were probably unknown territory to many listeners. Christopher Duigan opened with a magnificent Chaconne in G, HWV 435, by Handel. For me this was the high point of the evening. The composition, consisting of 21 variations, has an ineffable grandeur, and Duigan’s virtuoso interpretation was totally compelling. Later he showed virtuosity of a very different kind in Ravel’s Alborada de gracioso (Morning Song of the Jester), Spanish in character and exceptionally difficult to play. Junnan Sun, who was born in China and has lived in South Africa for the past 14 years, demonstrated his remarkable skills in the Introduction, Theme and Variations for clarinet by Gioachino Rossini. This composer is of course best known for his operas, and this clarinet work, written about 200 years ago, has a distinctly operatic tinge. Later in the programme Sun played two more clarinet pieces: a Shalom Aleichem by the contemporary Hungarian composer Bela Kovacs, and a Carmen Fantasy written for violin by Pablo de Sarasate and arranged for clarinet by the French composer Nicolas Baldeyrou, who was born in 1979. All very interesting, and showing that the clarinet can on occasion produce big and even violent sounds. The cellist Aristide du Plessis, who was born in Durban in 1989, displayed a lovely mellow tone in Max Bruch’s well-known Kol Nidrei and in an Elegie by the French composer Gabriel Faure (1845-1924). And he later ignited some fireworks in Tarantella by David Popper (1844-1908), a Bohemian cellist. The three performers assembled together for the only time in the concert when they gave an encore, a Beethoven slow movement. At the end they were rewarded with an ovation from an appreciative audience.